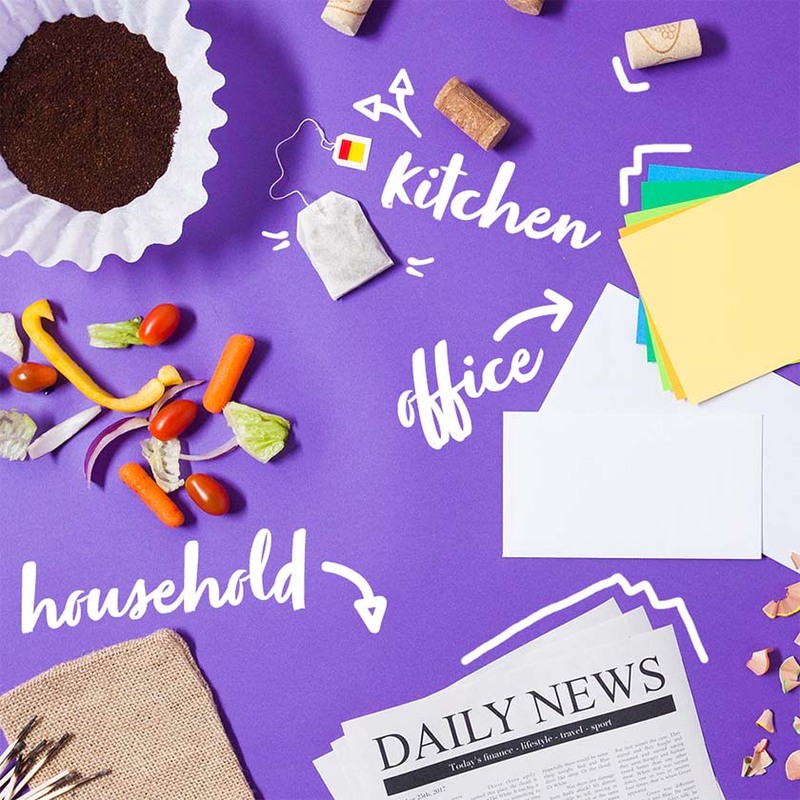 | Teachable Trash| What Can You Compost? Though the majority of food and yard waste can be composted at home or through a curbside program, it’s important to follow these best practices. Choosing the correct ingredients for your compost bin is crucial for it to function effectively. 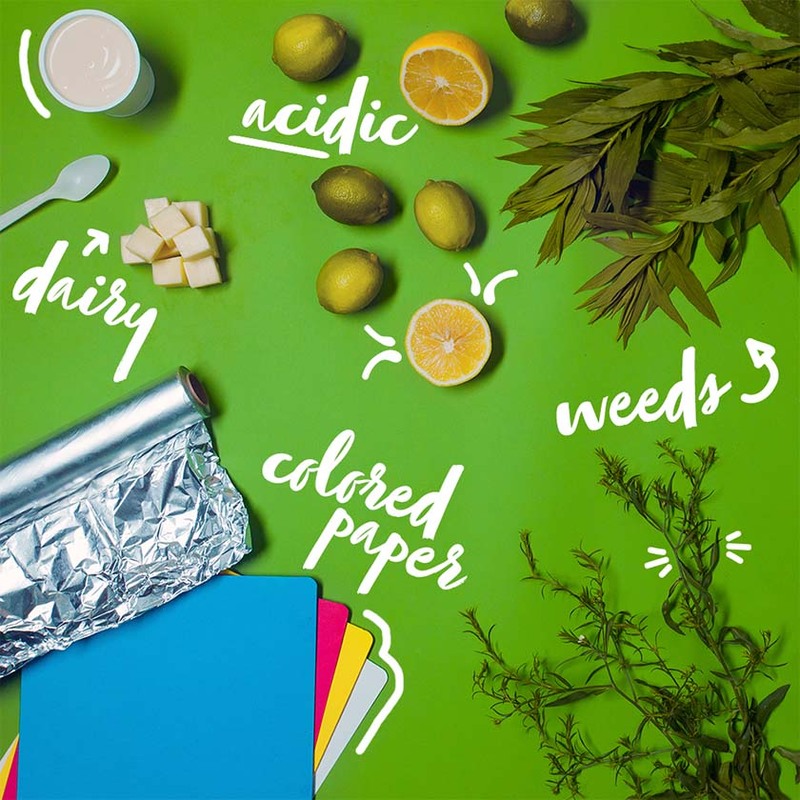 It’s important to strike the right balance between “green” nitrogen-rich material, like old food scraps and yard waste, as well as “brown” carbon-rich material like fallen leaves and old newspaper. When properly prepared and in the right ratio, these materials create the perfect environment for bacteria and worms to thrive, turning what would be waste into valuable compost. 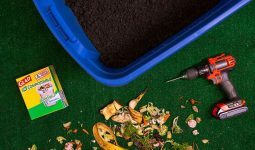 Follow this list of compostable categories to ensure that your compost pile remains healthy and productive. *Please be sure to keep any perishable items isolated or frozen until pickup day in order to avoid nasty smells. The term “brown” here refers to materials rich in carbon. 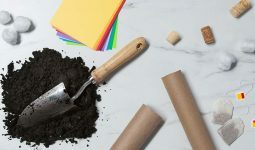 These compost materials are important because they work as both the energy source and the basic building block of microbial cells within your compost. Here is a list of “brown” materials that you can include in your compost bin. *These items can be compostable depending on the compost program. Please contact your local municipality to learn more before composting. Although most all living organisms can be composted, it’s best to leave out certain materials that attract rodents and create unpleasant smells. Here are the main categories of non-compostable items. Similar to almost all living matter, meat is compostable, but beware, rotting meat can produce an offensive smell, which will attract pests from miles around. Many towns now offer curbside compost programs that pick up your food scraps and compost them for you. Contact your local curbside program if you plan on composting meat. If they accept it, be sure to keep it frozen before pickup day to avoid nasty smells. Like meat, dairy will spoil soon after it’s introduced into a compost pile. This may not attract as many pests, but it will certainly produce a strong odor that your neighbors won’t appreciate. The best place to put old dairy products is either down the drain if you are dealing with liquids or in the trash for solids. Contact your local curbside compost program if you decide to compost dairy. If they accept it, be sure to freeze or otherwise isolate the dairy in order to keep it from getting too stinky. Due to the carnivorous nature of most domestic house pets, their waste shouldn’t be included in your compost pile. Feces may spread diseases which can be dangerous to both plants and humans. Composting can be a tricky process. Many materials we use every day have synthetic origins which are harmful to soil health if they are included in the compost process. Here is a list of miscellaneous materials you should be sure not to include in your compost pile. Composting creates a trickle-down effect that benefits those who use the compost as well as many other areas within the environment. Surprisingly, organic waste, which includes yard and food waste, makes up 25% to 50% of total waste. The beauty of composting is that it significantly cuts down on overall household waste while producing a highly valued commodity. When organic waste is put in the landfill, it undergoes a different decomposition process than what would normally occur in a compost pile. Because landfills are compacted to save space, they don’t allow any oxygen to interact with organic waste. As a result, bacteria actually breaks down this organic waste, which releases toxic gasses such as methane, a greenhouse gas, into the atmosphere. Adding compost or “black gold” to existing soil makes happy plants, improving their immune system, which helps them fight off attacks from other bugs and diseases. The use of compost reduces the need for harmful chemical fertilizers and in some cases, eliminates the need for them all together. On a larger scale, the benefits of compost have even been linked to higher yields in agricultural crops. Now just imagine what it can do for your backyard. The act of composting is so ingrained in nature that once we restore this natural process, everything else seems to fall into place. Regularly adding compost to clay soil helps to break it up, which leads to less water run-off. Likewise, adding compost to sandy soils helps to reduce evaporation, leading to heartier soils. One of the most rewarding aspects of composting is being in charge of your very own ecosystem. In this ecosystem, you get to decide how fast or slow organisms move, the temperature at which they function, and how you want the finished product to perform. Today’s on-the-go world leaves us little time to take a step back and smell the roses. It’s refreshing to slow down and reconnect with some of nature’s basic processes that go on behind the scenes, even at the microscopic level. This reconnection helps us get in touch with our place in the ever-spinning circle of life.